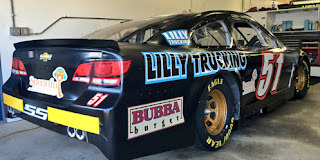 Cody Ware picked up the 3rd last-place finish of his Monster Energy NASCAR Cup Series career in Sunday’s ISM Connect 300 at the New Hampshire Motor Speedway when his #51 Lilly Trucking Chevrolet fell out with rear gear trouble after 74 of 300 laps. The finish, which came in Ware’s fifth series start, was his third of 2017, his first since Pocono, fourteen races ago. 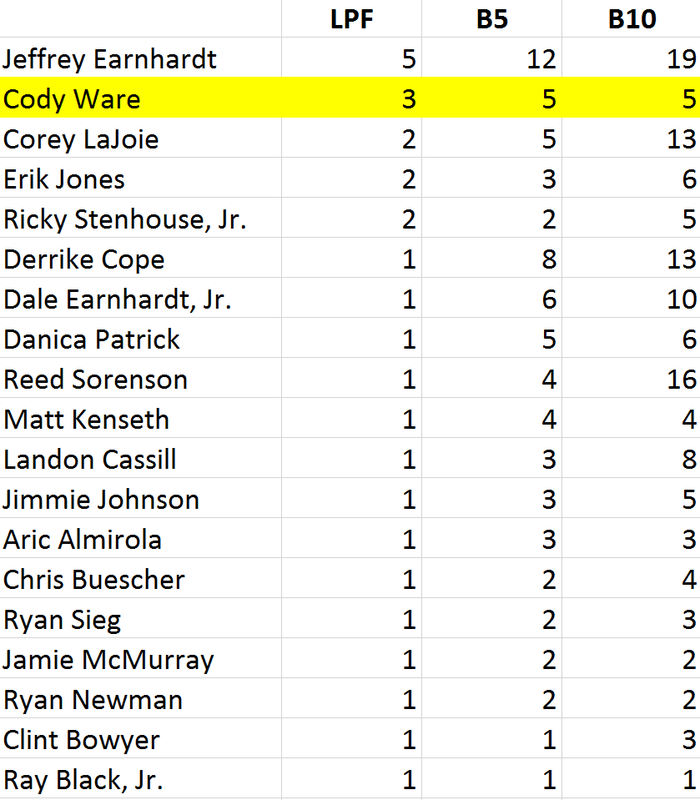 It’s also the second in a row for Rick Ware Racing, which trailed at Chicagoland with Ray Black, Jr.
With eight races to go, Cody Ware now takes second in the LASTCAR Cup Series standings, just two finishes from current leader Jeffrey Earnhardt. To put it mildly, it’s been a challenging year for both Ware and his father’s single-car “open” team. Coming into Sunday’s race, Rick Ware Racing had made 21 of the first 27 rounds with a best finish of just 28th with Timmy Hill at Kansas. Cody Ware’s most recent last-place run at Pocono came in an ill-handling #51 Clemson University Chevrolet as the driver fought back problems. That day was also to be the first of a multiple-race sponsorship agreement with at least two universities: Clemson and ECU. A lack of associate sponsorship caused the team to run the ECU scheme out-of-pocket at Dover, and the deal ultimately fell through. Without Clemson on hand for their originally-scheduled return at Darlington, the Ware team put together a last-minute “throwback” scheme that was one of the best in show. The team ran a “Days of Thunder” inspired scheme resembling Tom Cruise’s Mello Yello car, an effort that also promoted relief efforts after Hurricane Harvey. Unfortunately, this car crashed out midway through the Southern 500, and a controversial Twitter battle ensued between the driver and Matt DiBenedetto. Following another Harvey benefit scheme at Richmond, Ray Black, Jr. made his Cup debut with the team at Chicagoland. Though Black finished under power, 16 laps down, the track’s third-straight year without a DNF handed the XFINITY Series regular a last-place finish. 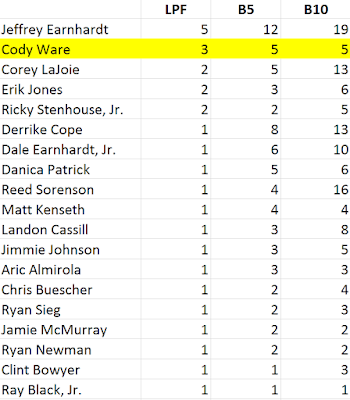 Cody Ware wasn’t officially named the driver of the #51 for Sunday’s race on the preliminary entry list. In fact, no one was until just hours before Friday’s opening practice. 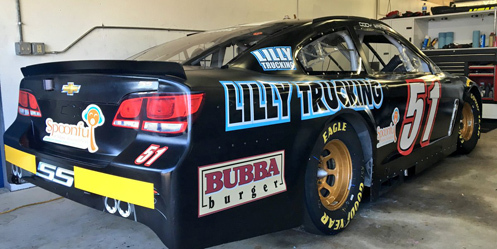 Ware had yet to make a single NASCAR start at Loudon – Josh Bilicki drove the car home 36th in July – but this past summer had also made two road course starts in the XFINITY Series for Mike Harmon, finishing 34th at Watkins Glen and 23rd at Mid-Ohio (the latter the third-best finish in his 14 series starts). Most importantly, the #51 would be one of just 39 teams entered at Loudon, guaranteeing Ware a spot in the field. 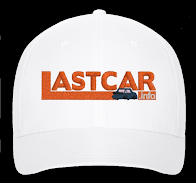 Ware put up the slowest time in Friday’s opening practice, turning in a best lap of 122.434mph that was more than three seconds off Kyle Larson’s session-leading circuit and more than one second behind the next-slowest Jeffrey Earnhardt. Ware then shaved a full half-second off that time in qualifying, but his speed of 124.634mph was the slowest turned in time trials. He would start 38th, however, as Joey Logano was penalized for his #22 Shell / Pennzoil Ford failing inspection four times. Not only did Logano not put up a qualifying lap, but he was forced to sit in his car on pit road for the entirety of Happy Hour. Ware was the only other driver to not participate in that session, having anchored the chart again on Saturday morning. Prior to the start of the race, Ty Dillon fell to the back, having been forced to a backup car after his primary #13 GEICO Chevrolet biffed the outside wall in Saturday practice. 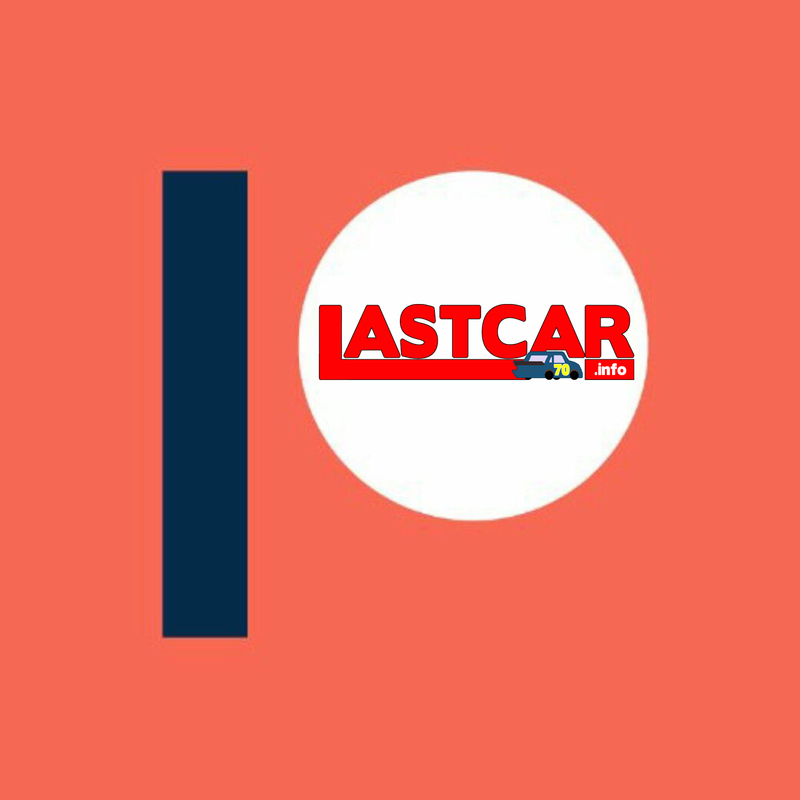 Joining him were both Landon Cassill and Chris Buescher, both dropped to the rear for transmission changes. During the final pace lap, both Ware as well as Jeffrey Earnhardt in the #33 Hulu Chevrolet fell to the back behind the Cassill, Buescher, and Dillon. 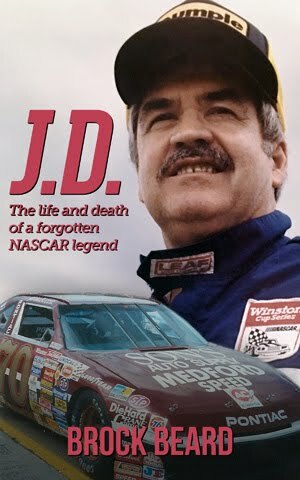 Thus, when the green flag fell, it was Earnhardt who held the spot for a moment before he passed Ware down the backstretch for the first time. After only a few laps, Ware reported smoke in the cockpit and was clearly struggling to get around the track. 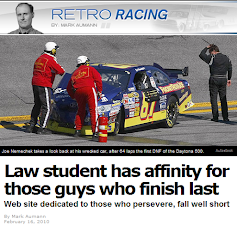 By Lap 6, he was two seconds behind 38th-place Earnhardt, and was lapped by the leaders within the next ten circuits. Kyle Busch put Ware a second lap down on the 25th circuit, then was put a third down by Truex on Lap 43. On Lap 49, NBCSN’s cameras revealed Ware’s car was overheating down the backstretch, the overflow on the hood spraying a constant stream of water. From then until the end of Stage 1 on Lap 77, the water temperature climbed to 250, then 300 degrees. Under the caution at the end of the stage, driver and crew discussed what to do. The original plan was to make their first pit stop, then come around one more time and go to the garage and cool the engine. It was soon clear that the water was running dangerously low, and on Lap 79, Ware pulled the #51 behind the wall at the opening in front of Matt DiBenedetto’s pit stall. Ware then cut the engine and coasted to a stop in the infield, where the driver requested a Gatorade. The team soon found that not only was the engine damaged beyond repair, but a right-rear axle seal had also failed, perhaps the cause for the cockpit smoke reported earlier. On Lap 84, the Ware crew said “We’re all done,” and began to pack up. The team listed “rear gear” as the overall reason for their exit. Just as at Chicagoland, the #51 took last virtually unopposed from start to finish. Jeffrey Earnhardt ended up next-to-last when he was caught up in the afternoon’s most dramatic moment. With one lap to go in Stage 2, contact between Austin Dillon and Kevin Harvick sent Harvick’s #4 Mobil 1 Ford spinning off Turn 2. Harvick’s car then stopped sideways in the middle of the track, causing much of the rest of the field to pick their way through the smoke. Moments after Kurt Busch crashed into his teammate, Earnhardt rear-ended Busch, causing a logjam that blocked much of the track. In all, eight drivers received damage with Earnhardt, Busch, and Harvick eliminated under the “Crash Clock.” Rounding out the Bottom Five was another Playoff driver, Kasey Kahne, who incurred a penalty for drawing the fourth caution of the day on Lap 264. *This marked the first last-place finish for car #51 in a Cup Series race at Loudon.